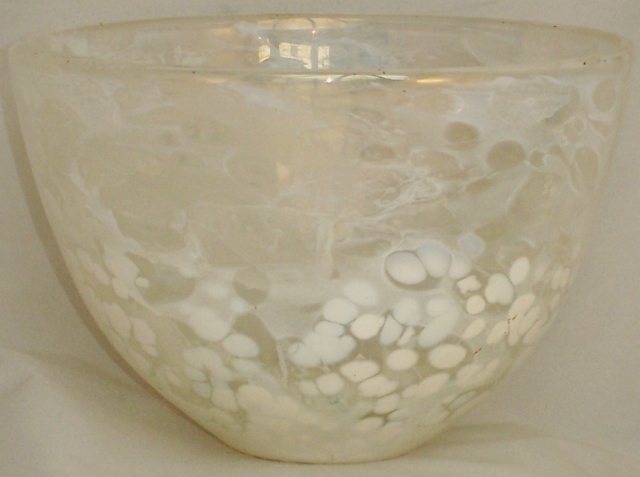 Early, rare, unique and retired vases, bowls, platters and other items produced over the last 30 years, including some recent ranges by master glassmaker Timothy Harris from the world famous Isle of Wight Studio Glass. 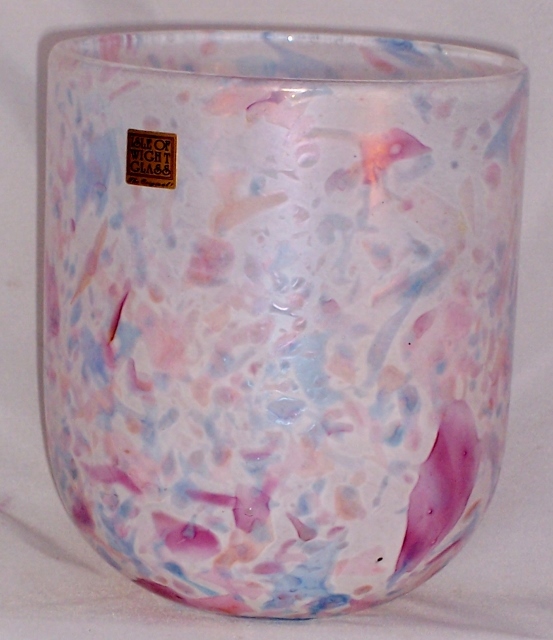 Impressed flame logo to base and Early white label "Handmade Isle of Wight"
This iconic shaped design called a 'Fish Vase' by the world famous Michael Harris is one of a special edition made by his eldest son and Master Glassmaker, Timothy Harris, at Isle of Wight Studio Glass. 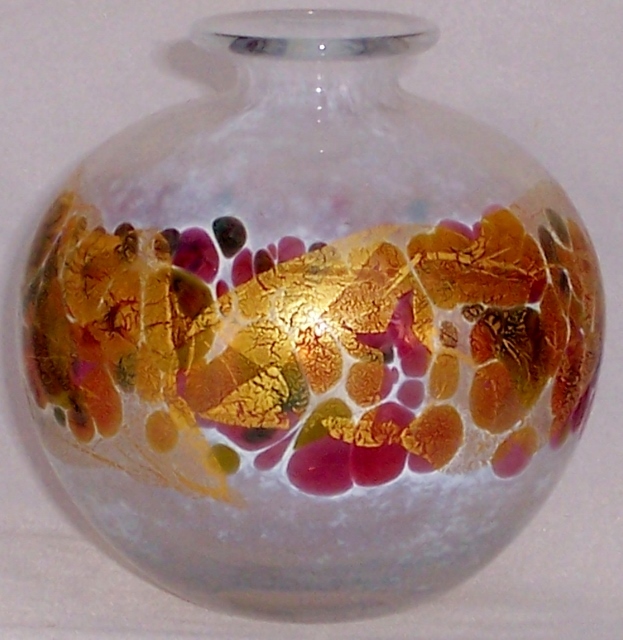 They are produced in early retired designs where the original range did not include Fish Vases. Only three pieces plus occasionally a Trial piece (and this is one such) will be made across a total of approximately 22 designs. Each will be numbered 1/3, 2/3 and 3/3 or Trial. 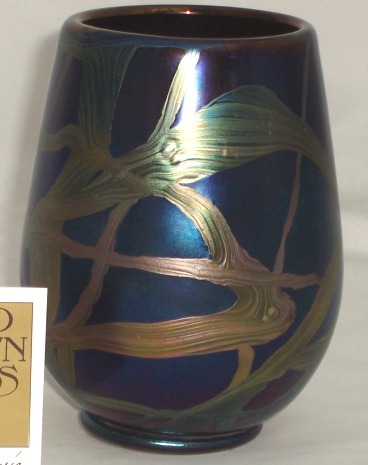 They will be signed as Timothy Harris Isle of Wight Glass Exclusive to Artius Glass to ensure accurate provenance. Currently no.1 and no. 2 across the whole issue are sold out but some of the no. 3's of the remaining issue will be available in due course.